GNIDA has come up with Video Film making competition. It is a unique platform for people interested in excellence in film making. The competitions aim to inspire, nurture and integrate, all congregation of people. To ensure better quality participation from the general public, it is proposed to invite ideas for improvement under various themes. The competition is open to all interested students willing to provide video film in MP4/MOV format. On implementation these futuristic videos will benefit GNIDA and the public of Greater Noida. 3. Go through the contest details and click on the registration button to register for the competition. 4. The final content can be uploaded by clicking on the submission link. 5. A form with Bennett University logo will appear. 6. Select the file from your Google Drive where the video content has been uploaded and then click on the submit button. No modification can be made once the content is submitted. 7. Each student can only submit single response after signing into their google account. ** Submission can be made by individuals in their personal capacity, or by institutions like NGOs, colleges etc. ** An individual or an institution can submit maximum one video film. ** No personal queries/visits/postal mail will be entertained in this regard. ** All submissions should have complete contact information of the participant. ** A team must use either a DSLR, mobile camera, professional film camera with at least 1080p or 1080i video capture. ** For Mobile Filmmaking, a mobile camera with a minimum capture of 1080i or 1080p should be used. To assure noiseless sound quality, an external microphone should be used. ** The minimum duration of the film should be three minutes while the maximum can be five minutes. ** The final video must be uploaded in MP4/MOV. ** Films must be the original work of the individual or team and must not infringe upon any third-party’s rights. ** Must be suitable for publication. ** Must not contain obscene or pornographic material; may not contain defamatory statements about any person, company, organization or entity. ** Must not invade privacy or other rights of any person, company or entity. ** Must not in any other way violate applicable laws and regulations; and may not contain any copyrighted elements not owned by the team, individuals. ** Entries not satisfying the above listed themes shall be disqualified. ** The winners will be selected by a board of juries and their decision will remain final. ** A certificate and cash award of Rs. 15,000 will be given to the top video film. ** A certificate and cash award of Rs. 10,000 will be given to the second video film. ** A certificate and cash award of Rs. 5,000 will be given to the third video film. ** The next seven submissions on merit will each be given a certificate. 1. Relevance of the video film to the above specified themes. 2. Novelty/uniqueness of the video film. 3. Possible impact of the video film. Each video film will be rated on a scale of 10 (equal weightage) for each of the four criteria, taking the maximum score to 40. 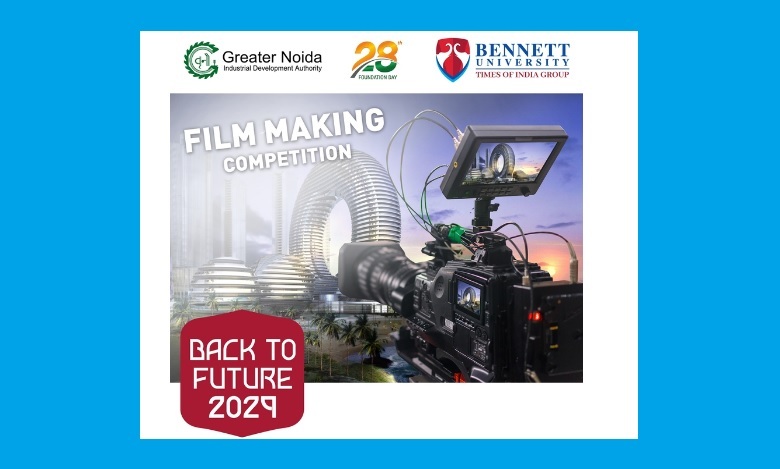 Final selection of top three video film will be done exclusively by the GNIDA authorities based on online submissions. There will be no personal meetings/interviews. If found necessary, authorities may seek clarifications from those submitting the video films.